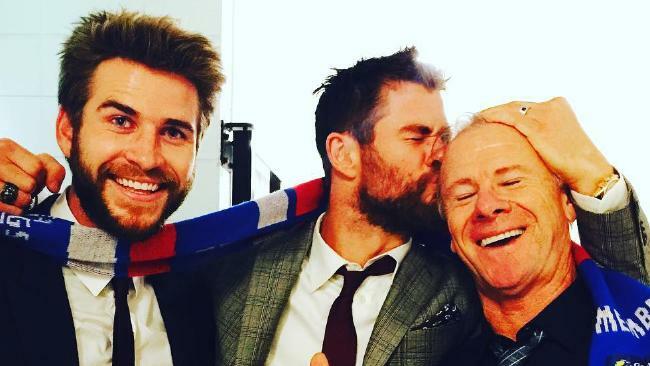 IT'S NO secret the Hemsworth brothers have the hearts of many worldwide. But they might have just been upstaged, and by none other than their own parents. 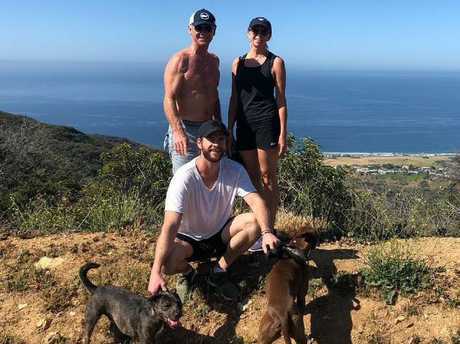 Instagram lit up after Liam Hemsworth uploaded a snap of himself, his parents and their two pooches on a hike, at an undisclosed location, of course. But eyes weren't on the much-loved Aussie acting export, nor the idyllic scenery or the doggie duo. The star's 10.6 million followers locked on to his fit parents, serving up hundreds of comments, and thousands more likes in a mere five hours. "Climbed a mountain with the oldies this morning and came across a rattlesnake after telling my brother there were no rattlesnakes in this area! 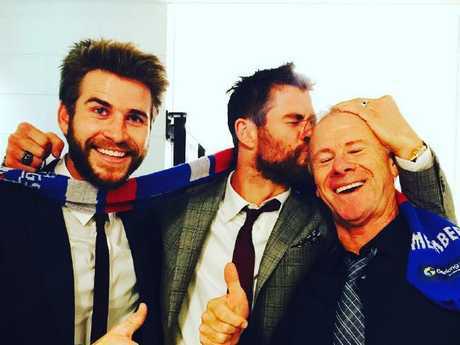 Ha!," Hemsworth wrote as the caption to his popular pic, which clearly didn't impress some of his fans. "This is such a dad caption," one wrote. But while his dorky piece of prose might not have delivered, his father certainly brought the goods. Viewers swooned at the scantily-clad Craig Hemsworth, sporting an impressive rig, and his wife Leonie, dressed in similarly impressive active attire. "Why wasn't your dad cast as Thor. No offense @chrishemsworth, but your dad is #jacked," one fan stated. "Is that your dad? OMG he's ripped! Body goals!," another wrote. "HOT DAD ALERT!! !," a follower wrote, which concisely summed up what everyone was thinking. 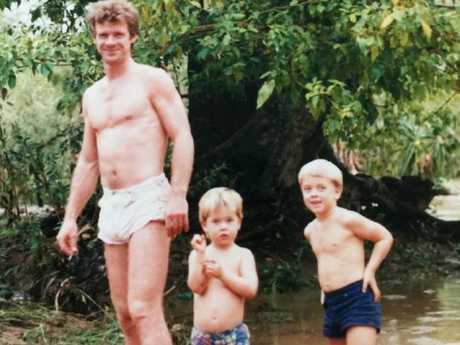 But others were more concerned for the Hemsworth family's safety during their undoudebtly daring adventure. "We have lots of rattlesnakes in California. The baby Rattlers are the most dangerous. Watch your step," one fan advised. "And looks here, isn't a rattlesnake a deadly snake? Who would live in America with those snakes all over the place?! Yikes, think I will stay in Australia! 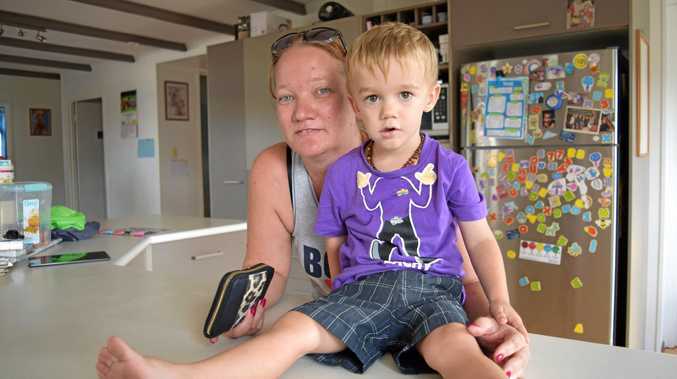 !," one follower wrote, conveniently forgetting that Australia is full of deadly critters. Papa Hemsworth isn't the only beefed-up older man who's caused the internet to do a double-take. In October last year, British celebrity chef Gordon Ramsay, 51, caught Instagram's attention when he posted a picture that drew 90,000 likes in just 20 hours. And musclebound US golf legend Greg Norman, 62, broke the internet with an image of himself getting his kit off in the Colorado wilderness.